As a five-pointed star floating on the sea: so it emerges our beautiful Mole Vanvitelliana. The work to construct it began as far back as 27 July 1733. At that period, Ancona was growing, increasing its wealth: the Church of San Ciriaco had recently become the city’s Cathedral and the Pope Clement XII demanded the architect of the Royal Palace of Caserta, Luigi Vanvitelli, to improve and beautify the port of Ancona. Vanvitelli, born in Netherland, started to work here during the summer of 1733 and he began to redesign the port respecting the ancient structure from which he got the inspiration. So he built the Lazzaretto (or Mole Vanvitelliana). This structure was “strange and new” to Ancona. Those five tips that floated in the sea had a very specific task: to accommodate people and goods in quarantine. It is likely that the number five was not chosen at random by Vanvitelli who wanted to represent the human ability to change the nature. From a strong military fortress during the Austrian occupation in 1799 and during the First World War, it later became a hospital where wounded soldiers found shelter and care. Enter inside the Mole and walks up to the neo-classical temple of San Rocco (the patron of those infected, of travellers, pilgrims and of the marginalised). It was here that the inhabitants of this floating island stocked up on water from three wells tapping into the temple. Look up: can you see the windows with blue glasses? They were painted in 1947 when the Mole became a repository of tobacco; only filtering the sunlight, in fact, it was possible to keep the tobacco dry and fragrant. If you are inside the Mole you can go to discover the Omero Tactile Museum, one of the few in the world. Now walk looking upwards: here the history of wars, of sick, of sailors and soldiers is intertwined with the blue sky, the chatter of seagulls and the colourful fishing boats. 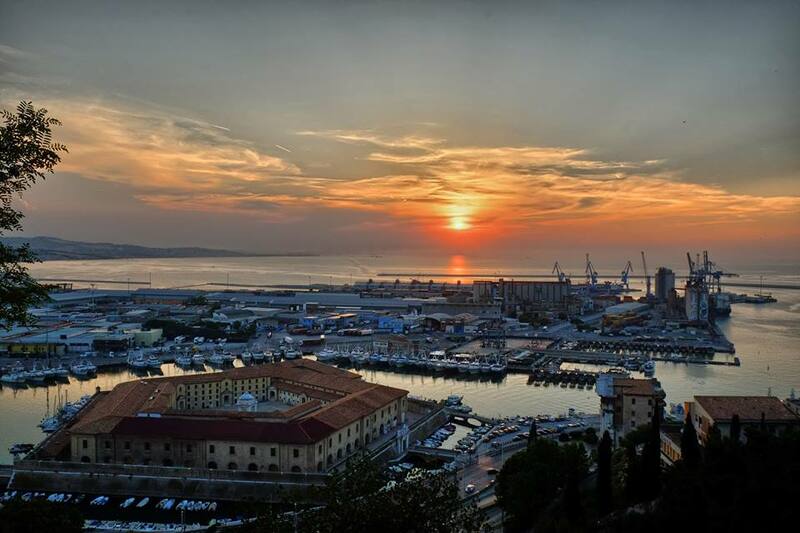 That is how the Mole Vanvitelliana is like: concerts, exhibitions, museums, children learning to sail, fishermen returning to the port and a beer at sunset with the feet hanging over the sea.